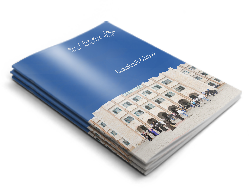 On the 25th of April, 2017 NEO Director Dr. Nedal Jayousi Conducted the first field monitoring visit to the Erasmus+ Funded project “Boosting Innovation in Curricula Development of IT Programs in Palestine”, at University College of Applied Sciences (UCAS) with the presence of UCAS rector, Prof. Rifat Rustom and the Project Coordinator Dr. Hani Qusa and all local partners. The visit mainly aimed at looking at the outputs and achievements of the operational objectives of the project to-date, and at drawing out the reality of the project environment regarding how it is being implemented. The meeting started with introducing each other and welcoming speech by the project coordinator Dr. Hani Qusa and the NEO Director, Dr. Nedal Jayousi. Dr. Hani Qusa talked briefly about the progress of the project, the deliverables that were achieved, partners’ main roles, the work packages at hand, and their progress and the challenges that face the project. 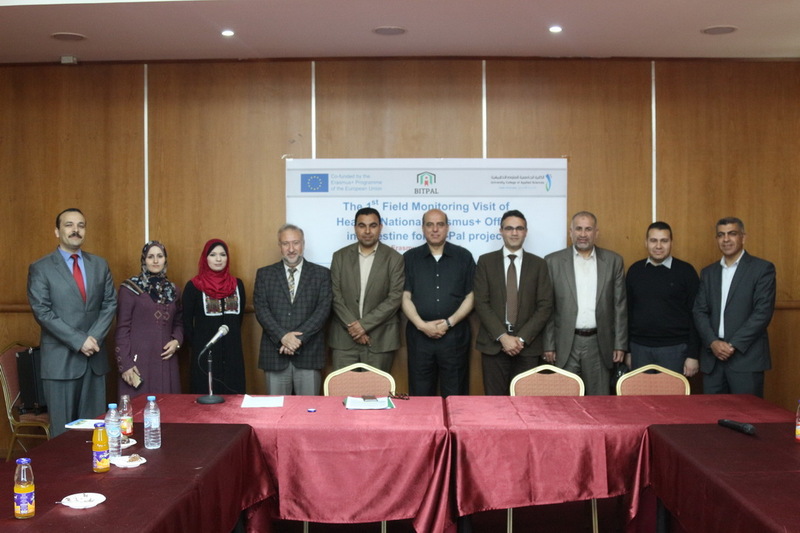 Dr. Nedal Al-Jayousi expressed his readiness to provide support for the Erasmus+ Program. He stated he would do this through trying to solve problems that encounter implementing the project activities especially in the travel issue. Dr. Al-Jayousi also thanked for Dr. Hani for the success of BITPAL and praised the quality and diversity of the consortium, he also requested for active communication with partners to gain great achievements within the project. Dr. Al-Jayousi also expressed his expectancy for the impact of the project in meeting the challenges that facing the IT sector in Palestine by involving the private sector in curricula development, which is an added value in BITPAL project.